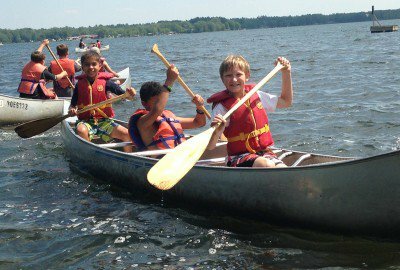 French Camps in Ontario: Camp Tournesol provides superior French summer camp experiences in the GTA by creating a nurturing environment for both French Immersion and Francophone students. Initially established in 2001, we ensure the development of a rich vocabulary through our fun programs for a wide variety of ages and levels, including day camps, and French overnight camps in Ontario. 8 Camp locations in the Greater Toronto Area are available. Kinder programs: We offer programs for younger children from age 4 to 6, who are not in French immersion or Francophone schools. These programs are specifically developed to prepare children to enter a French program in the fall or to improve already acquired French skills. The program is delivered by a French teacher and activities fluctuates during the day to reinforce the vocabulary introduced in the morning during circle time. They will enjoy modules such as parachute games, arts and crafts, sports, show and tell amongst others. They will also reinforce their learning with our custom Tournesol workbook. Each week we will cover a different theme and build on specific vocabulary, sentences and songs. 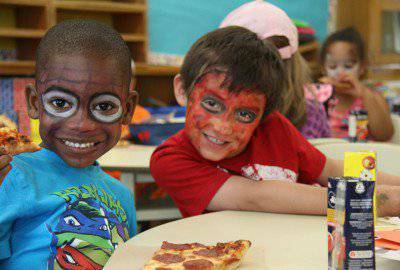 They will enjoy a field trip at a splash pad on Thursday and a French concert, face painting and festival each Friday. The week at a glance will provide an excellent overview of these programs as well as our video. French Day Camps: Our Fun French day camps are for children in grades 1 to 8 who are comfortable in French and attend French immersion or Francophone schools. Our goal is to develop their verbal skills and their confidence in using the French language in a Fun environment. We do a variety of activities during the day to promote this, including cooperation games, arts and crafts, creating a rap and sports. We go to a splash pad each Thursday and welcome a French artist each Friday morning followed by a festival with friendly games, face painting and pizza lunch. You can have an idea of the activities by reviewing our week-at-a-glance and watching our video highlights from last year French Day Camps. 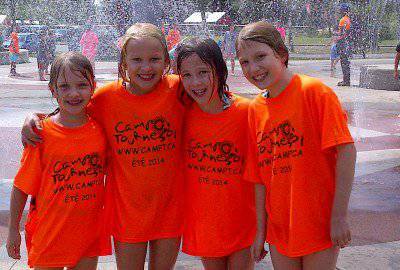 French Overnight Camps: We have 4 options for French overnight programs this year. 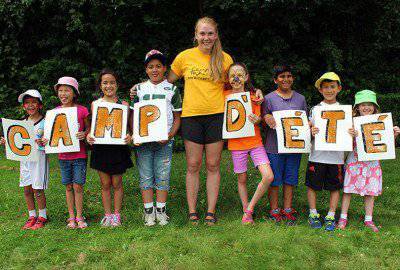 These programs are developed to provide the campers with a complete immersion experience in French. You can view our video from last year's Overnight program to see all fun in French. a) 2 day at a day campus of your choice and 3 days away. This one runs the week of July 18th and the destination is Cedar Glen in Schomberg. Our Tournesol bus will go to each campus on Wednesday morning to pick up campers and will return them at the same campus on Friday afternoon. b) 1 day at day campus of your choice and 4 days away. This one runs the week of July 25th and the destination is YLCC Pigeon lake in the Kawarthas. Our Tournesol bus will go to each campus on Tuesday morning to pick up campers and will return them at the same campus on Friday afternoon.